UPDATE: A Montreal animation school has fessed up that the "Golden Eagle Snatches Kid" on YouTube is a fake, created by three students in its three-year animation and digital design degree program. "Both the eagle and the kid were created in 3D animation and integrated in to the film afterwards," the school, Centre NAD, said in a statement Wednesday. As seen below, cyber sleuths and imaging experts had quickly poked holes in the viral video, spotting obvious flaws in shadows and composition. Students at the Centre NAD have cooked up digital hoaxes in the past as part of their coursework, including this video of a penguin escaping from the Montreal Biodôme. Eagles are majestic animals but would they ever go after a baby? One Montreal child got a real close call when a bird thought to be a golden eagle swooped down and almost carried the baby away. That is, of course, if you believe the images of a video posted to YouTube Dec. 18. The video, which quickly went viral, shows the bird of prey swooping down and almost getting the child. The person shooting the footage can be heard swearing and running towards the child and guardian moments after the attack. In slow motion, the video appears to show the eagle was able to lift the child off the ground several feet before dropping it and flying away. Many YouTube commenters have been skeptical of this "Golden Eagle Snatches Kid" video. As opennewscast wrote, "I've been working with digital﻿ images professionally for 15 years, and I'm convinced this is fake. The swoop down at 0:10 looks just like cheap CGI to me." 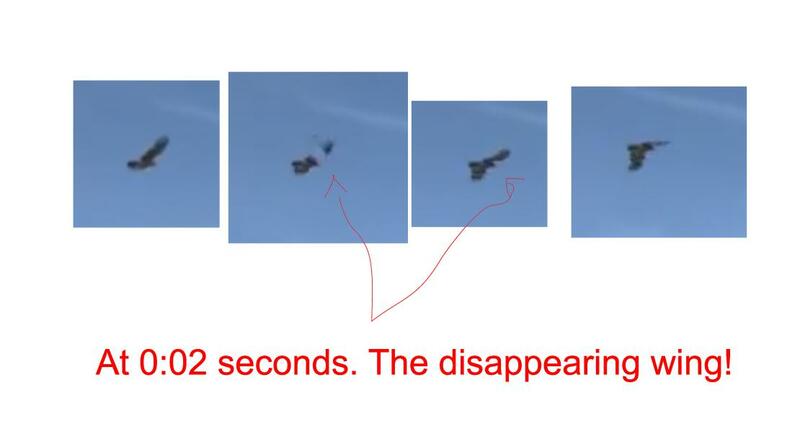 Others, including folks in our comments section, have pored over the footage with CSI-like precision, examining shadows and frame-by-frame sequences for evidence of a hoax. The shadow of the eagle momentarily disappears at the 10th second and reappear at the 11th second, as pointed out by a user on imgur. Second clue: The Child Flies Alone? According to one sharp-eyed observer, who isolated a few seconds of the video with zoom, the child appears to hang detached from the talons of the eagle. Others have isolated the movie frame-by-frame and noticed a missing wing on one segment, suggesting the use of a photo editing tool like the "finger" on Photoshop. Golden eagles can grow to a metre in length and have a wingspan of more than two metres. It usually feeds on small mammals such as rabbits or smaller birds. There have been reported cases of golden eagles killing or attacking the young of larger animals such as deer or mountain goats.